Thinking of throwing a garden party this summer? Make the most of the sunny weather by inviting your friends and family over for a beautiful garden party decorated with simple but effective accessories. 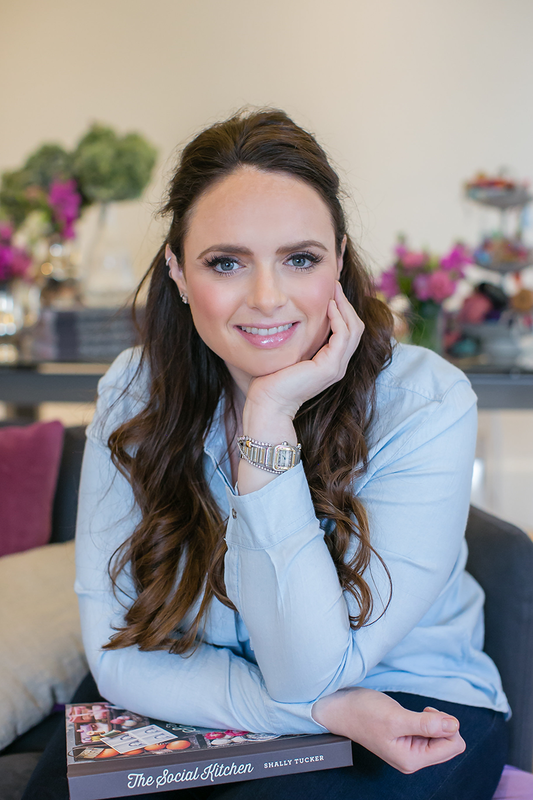 Here are my DIY ideas for putting on a gorgeous garden party. This is a lovely idea to cast some light over your garden, once the sun has gone down. 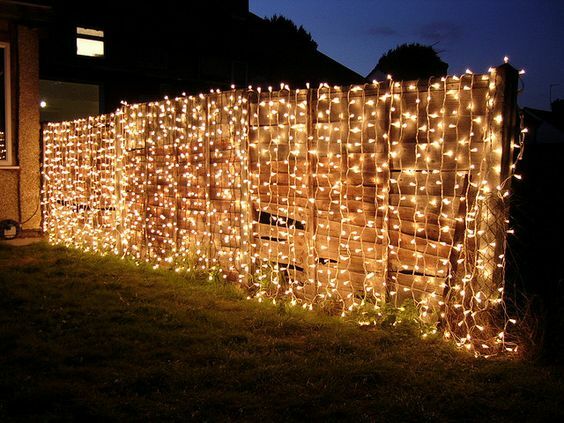 All you need is a couple of strings of battery pack fairy lights, taped to the one of your garden walls in long lines. The effect is magical! I’m a huge fan, as you know, of reinventing the use of everyday objects. 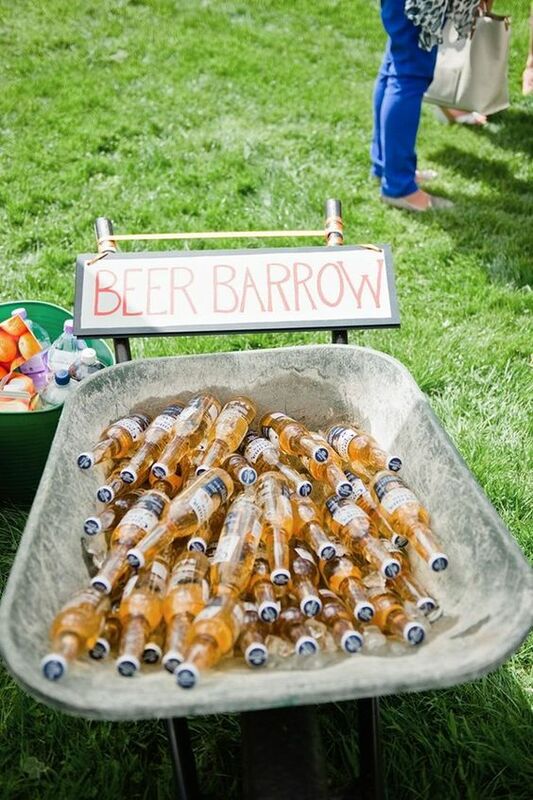 A wheelbarrow is a perfect cooler for beer and wine. It’s much more attractive than an ordinary cooler box and will give your garden party that rustic, farm-like feel. Another everyday object that can be put to good use at your garden party. 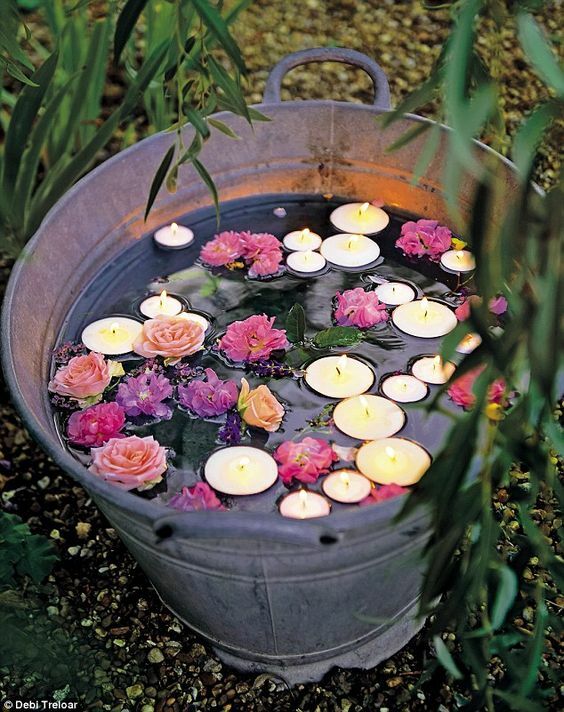 Fill an ordinary tin bucket with water and float an array of colourful flower heads and candles at the surface. This will look particularly special when the evening light starts to dwindle. This is a really fun treat for adults and children alike. All you need is a few doughnuts, melted chocolate and an assortment of delicious toppings. Check out my video from last summer for inspiration. I call this the ship wrecked table as its filled with shells, broken terracotta pots and drift wood. You can add some jewels (I always seem to have that tangled heap in the corner of my jewelry drawer) or some chocolate money for the children. See my video from last summer for more ideas. A pergola made from hanging ribbons, paper lanterns and little vases of flowers dropping from above is the dream setting for a garden party. Have a look at my video to see how you can do it yourself. 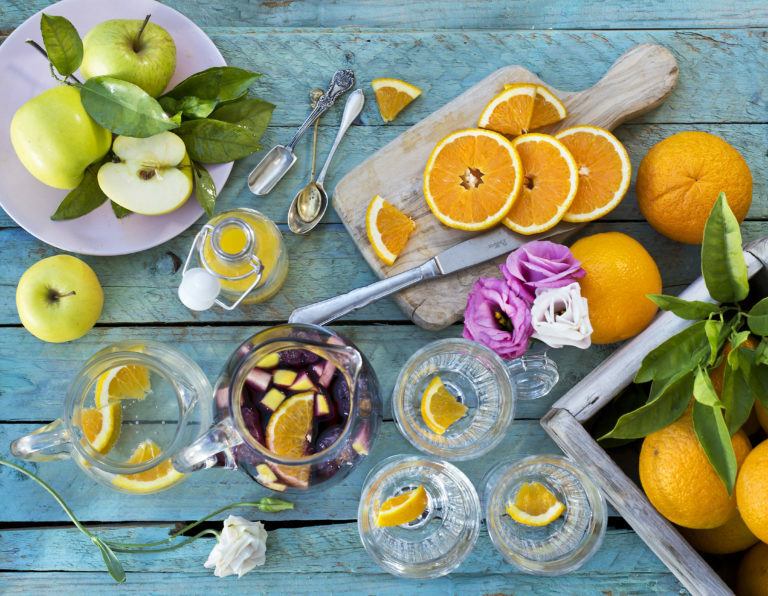 Why not serve up a real summer cocktail at your garden party? It will make your guests feel like they are on holiday. You can see the full recipe here, as made in Spain! When the sun is out, there’s nothing more refreshing than an ice lolly. 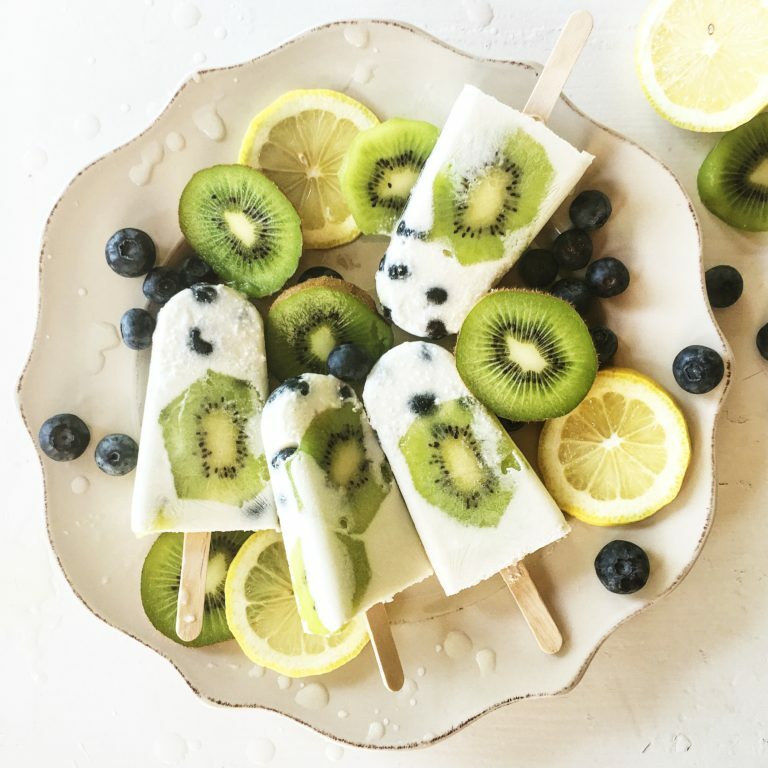 Check out the recipe for my Kiwi and Blueberry Ice Lollies HYPERLINK. Feel free to add a splash of gin to the mix! Lemons and limes are great for decorating any summer tablescape. They make everything look bright and refreshing, and the great thing is, you can reuse them! Have a look at the gorgeous table that I put together in Spain last summer.